The Seoul government appears to be agonizing over how to deal with Somali pirates, after a South Korean cargo vessel carrying 21 crewmembers was seized last Saturday. The 11,500-ton Samho Jewelry freighter, carrying eight South Koreans, was captured in the Arabian Sea between Oman and India en route to Sri Lanka from the United Arab Emirates. The Samho Dream, a South Korean oil tanker seized last April and released 217 days later, was ransomed for $9.5 million ― the largest known payment following negotiations with Somali pirates. After the release of the Samho Dream, critics said the ransom payment may have further emboldened pirates and caused them to continue targeting South Korean vessels. Since a South Korean fishing vessel was seized in April 2006, the Samho Jewelry is the eighth vessel carrying South Koreans to be hijacked by Somali pirates. Except for the Geummi 305, a fishing vessel seized on Oct. 9 and still being held captive, all the other ships have been released with ransom payments. After the 4,500-ton Chungmugong Yi Sun-shin destroyer was sent to rescue crewmembers of the Samho Dream last year and local media widely reported the military operations, pirates immediately threatened to kill the seamen. 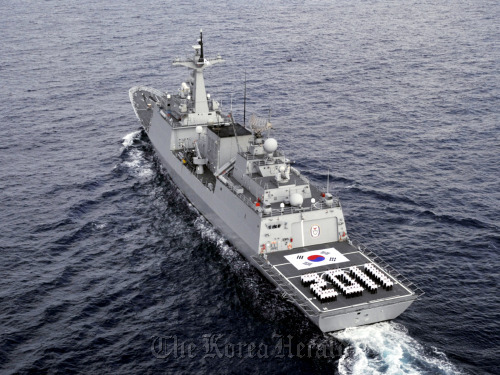 The South Korean Cheonghae unit, which was deployed in March 2009 to join an international anti-piracy campaign in the Gulf of Aden off the Somali coast, has also sent its 4,500-ton destroyer Choi Young to the scene where the Samho Jewelry was seized. Piracy experts have said that it is increasingly challenging to crack down on Somali pirates as they are getting smarter and employing clever hijacking methods. They have new speed boats, GPS-equipped phones and an array of weapons including rifles and even anti-tank rockets. The hijackers have also been emboldened by the absence of a functioning central government in their country, leaving them with no fear of punishment. Despite the dangers, France and Russia have sternly dealt with piracy cases. This has apparently made pirates reluctant to hijack any vessels with French and Russian flags. Since April 2008, French vessels have been seized by Somali pirates on four occasions. In each case, France staged military operations to rescue its citizens. In April 2008, French forces entered a seized holiday ship, rescuing 30 hostages after having killed three pirates. In another operation conducted that September, French troops killed one pirate, arrested six others and rescued two hostages from a seized yacht. In April 2009, French commandos stormed a seized yacht, rescuing four hostages. In the rescue operation, one hostage died, two pirates were killed and three others were arrested. Under the stringent anti-piracy directive from President Nicolas Sarkozy, the French Navy stationed a naval warship in the Gulf of Aden. In March 2010, the French forces destroyed 10 pirate vessels and apprehended 35 pirates. In May 2010, Russia staged an intensive military operation to rescue an oil tanker carrying 23 crewmembers. All the seamen were rescued just one day after the seizure. According to data from the One Earth Future Foundation, a private non-profit organization dedicated to promoting peace through governance, over the past five years the amount of ransom paid to Somali pirates had increased from an average of $150,000 in 2005 to $5.4 million in 2010. 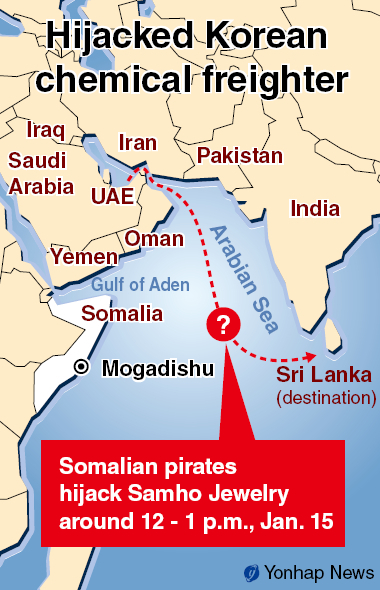 At the end of 2010, approximately $238 million had been paid in ransom to Somali pirates in that year alone. As of December, 28 vessels and 638 people are being held by Somali pirates, data from the International Maritime Bureau showed. Somalia, with 3,219 kilometers of coastline along one of the world’s busiest shipping routes, has been in a state of civil war for two decades and has not had a functioning central administration since Dictator Mohammed Siad Barre was ousted in 1991. A U.S.-led military intervention aimed at restoring order in Somalia began in December 1992. However, the efforts failed and international forces pulled out in 1995 due to the growing danger to troops.